Biking to and from work every day can do wonders for your health and physique, but it's not all a bed of roses. Using pedals that clip to your shoes and hold your feet firmly in place can cause wear and tear on your legs and joints. 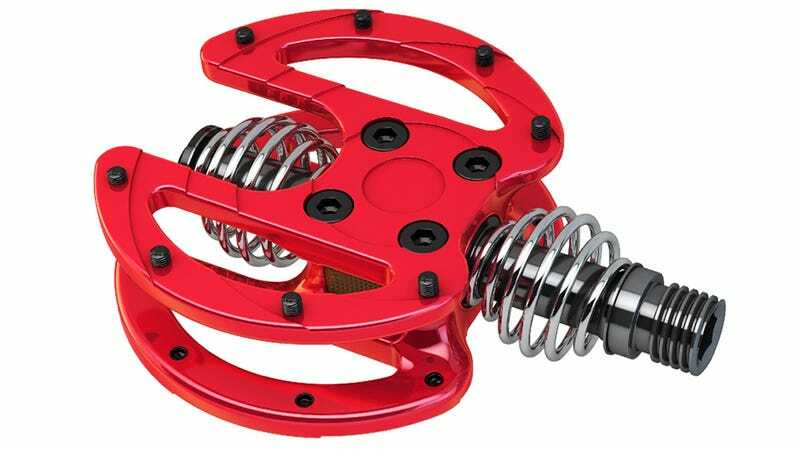 So a German company called BioConform has created a set of spring-mounted pedals that let riders lock in while still enjoying some freedom of movement in their limbs. Competitive cyclists might decry the design of the BIUS1 pedals as absorbing and wasting some of the energy transferred from their limbs to a bike's drivetrain. But anyone who's only racing being late for work should appreciate the pedals' unique design, which allows them to slide from side to side—and even slightly rotate—without feeling too loose under foot.